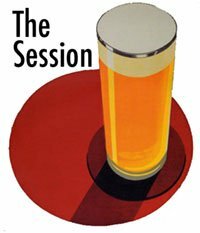 This month, the session is hosted by the Tasting Nitch, Nichole. The subject is one that some might consider controversial but I suspect those are the kinds of people we don't care to hear the opinion of. It's women in beer or in Nichole's words: Scary Beer Feminists. I suppose the only controversial thing is, why is it the men that do most of the brewing? Or are more involved with beer in general? Historically, women were the brewers. If we go back thousands of years, women did most of the brewing. It was just one of the jobs they did around the house. It was only in more recent times that women left brewing behind and men took over. Why is that? On the one hand, you can blame the church. Which church? Don't care, pick one. To be honest, it's organised religion as a whole. Many religions place women below men so when various religious orders started to take over brewing, women started taking a back seat. It wasn't just religion that killed off women though. Even as recently as the 1700's in Britain, nearly 80% of registered brewers were women. So what happened? Well progress as it happens and by progress I mean the industrial revolution. It took brewing out of the home and in to the factory environment, something that was more of a male domain at the time and still is today for the most part. You can read more in this article here if it's a subject that interests you. These days, women are making a comeback in the beer world. They are drinking more beer, they are writing and talking about beer in the media and they are brewing the beer. We are a long way of a 50/50 split but we are heading in the right direction. By all accounts, women have better tasting/smelling abilities so it makes sense. Metalman: Beer so good, even "The Batman" can't resist. One of the pioneers of women brewers in Ireland is Gráinne Walsh. Herself and partner Tim started homebrewing in 2007. I met them in 2008 as we were part of Irish Craft Brewer which went on to become Beoir. I wasn't completely surprised when they announced their intention to go pro, although both had excellent paying jobs in multinational companies so clearly they were doing this for the love of doing it and not to make money. In 2011, Gráinne quit her job and set up Metalman Brewing in Waterford city. Well it wasn't so simple as all that. It took a little over a year for their own brewery to come together so in the meantime, they brewed their beer at the White Gypsy brewery in Tipperary while waiting for all the red tape to be cut. You can read more about the brewery on their about page here. The beer is fantastic and in a country where every brewery seems to have a pale ale, stout and red ale as their core range, Metalman sticks to their core pale ale and then runs a series of seasonal beers called Alternator, Windjammer and Moonbeam. They are respectively a Wheat beer, Amber and Hoppy Porter. And then there's the Chameleon range. These are the experimental beers that Gráinne dreams up in the darkest recesses of her mind and brings them to life in the brewery. Anything goes here, ginger, chilli, eye of newt and they are always great fun. The latest one is called Smokescreen, a beautiful smoked beer that borders on a porter. It's wonderfully drinkable and sessionable, not something you can say about many smoked beers. I know of more women brewers on the way so hopefully by this time next year, we will have more beers as good as Gráinne's with the women showing us men how to be creative. Ireland has some great beer but some of it can be a little sameish when we are dealing with stouts, reds and pale ales as the staple of a brewery. Here's a good interview on the National Homebrew Club website with Gráinne if you want to know a little more.